Hogan said on Twitter on Oct. 19 that he supports a Hyperloop connection between Baltimore and Washington D.C.
Elon Musk launched his Boring Company earlier this year with the ultimate goal of building underground tunnels that connect cities, which could support a Hyperloop or cars. He has shown an interest in digging tunnels in Los Angeles, Chicago and along the East Coast. This is the first time, however, that a government official has indicated that the East Coast project is a go. Hogan said the administration supported the project and that he "thinks" it will come to Maryland, so it's unclear what kind of approval the project has gotten. "The tunnels will be built primarily under existing state highways, and the state is supporting the project and will work with the company to expedite the permitting and approval process," a representative for the Governor's office said in an email. The Boring Company has also initiated talks with Chicago Mayor Rahm Emanuel about digging a tunnel to support a high-speed rail connection between downtown Chicago and O'Hare International Airport. The Hyperloop is a nascent transportation system that would work by shooting pods in a vacuum-sealed tube at high speeds. 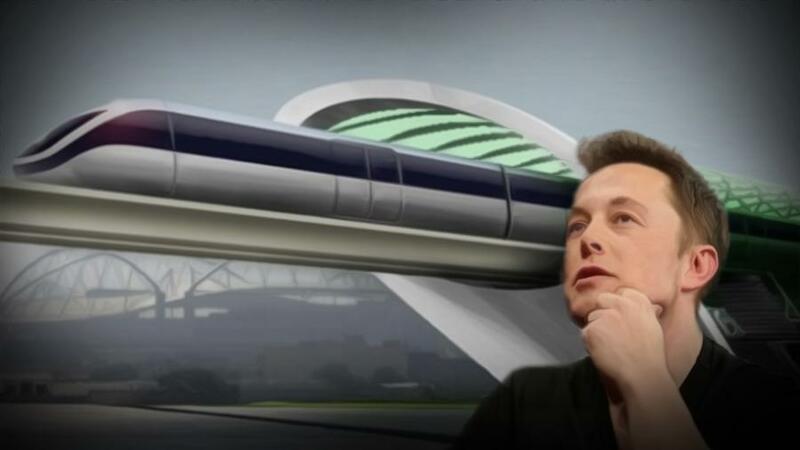 Musk first outlined his vision for a Hyperloop in a 2013 white paper. Baltimore Elon Musk Hyperloop Maryland Washington D.C.